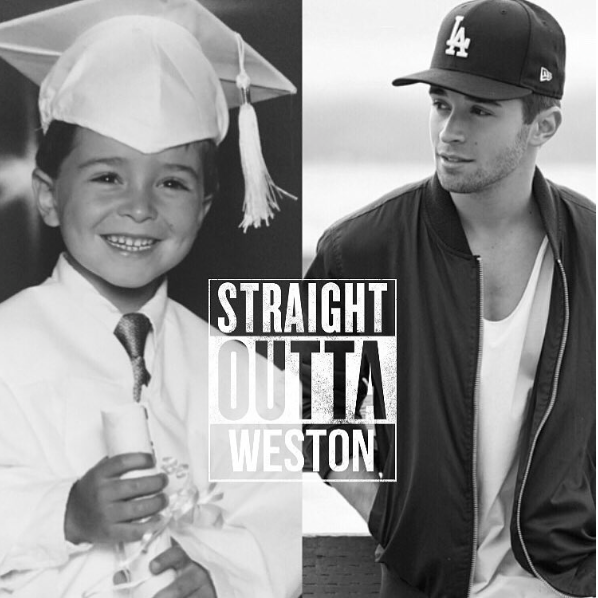 Article: Congrats To Jake Miller As He Moves To The City Of Angels – See His Awesome Instagram Post Here! A big, big congratulations to singing sensation, Jake Miller as he enters in a very exciting milestone in his life! Today, August 25, 2015 marks a special day in Jake Miller’s life as today is Jake Miller’s first day living in Los Angeles. The musically-inclined, Jake Miller made his big move today and what a wonderful way to welcome in his first day living in LA by going to the Janoskian’s movie premiere! Jake Miller tweeted, “1st day officially living in LA @janoskians movie premiere tonight!!! Let’s get it”. The “Dazed and Confused” singer wrote along with a photo he shared through his Instagram account, “Today marks the beginning of a new chapter for me. As I write this, I’m 30,000 feet up in the sky heading to my new home in Los Angeles with a million different emotions running through my body. I’ve been dreaming of making this move for years now, and as excited as I am to start my new life in LA, I’m really gonna miss my friends, family and the city that made me who I am today, Weston. I hope this LA experience changes me, but only for the better. No matter what I do, who I meet, or how long I stay out here, I’ll never forget my roots and where my true home is. And the second I start to lose sight of that, I’m comin home”. What a heart-warming and beautiful message Jake Miller shared on Instagram! 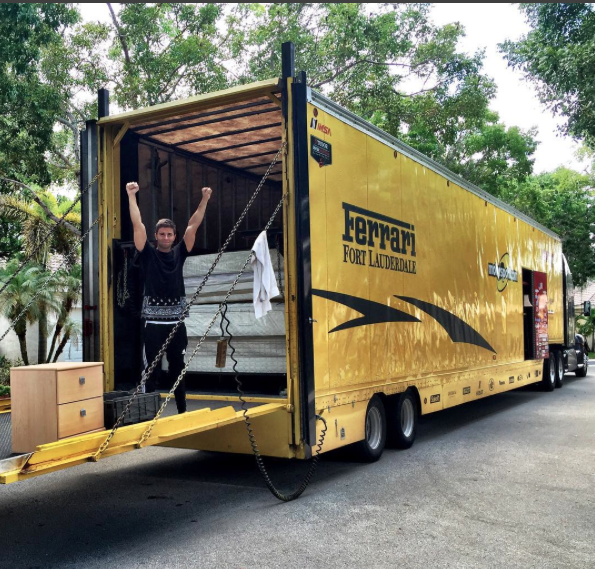 Jake Miller also shared the photo below through his Instagram account a few days ago of all his belongings packed and ready to go to his new home in LA! Here at Alexisjoyvipaccess.com, I’d like to congratulate Jake Miller on this amazing moment in his life! Despite all of Jake Miller’s massive success, he still remains so humble and wonderful! Next Article: YOU VOTED – Here Are The Winners Of #BestDressed At The 2015 Teen Choice Awards!